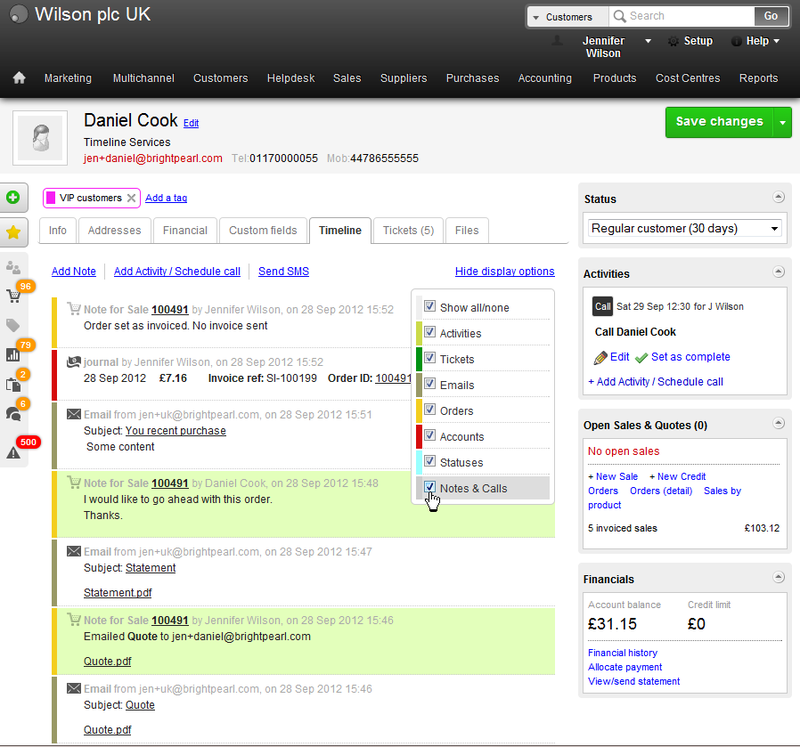 The contact timeline keeps a chronological history of activity related to the customer or supplier. The timeline can be seen at an individual contact level and a company level. The company level will show all activity from all contacts at the company. To view the timeline at a company level open an individual and click on the company name.